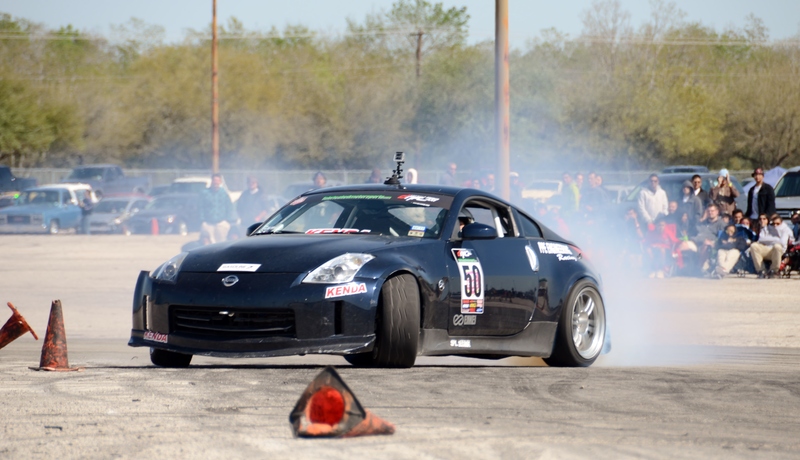 Brendan Hunyadi says he wasn’t screaming while experiencing his first ride-a-long in Ross Le’s Army green 280Z at the 2013 NST Anniversary drift event held at Gulf Greyhound Park in La Marque, Texas, Sunday, March 24. Hunyadi is a prime example of what this event is really all about. After learning on figure eights and circles, Hunyadi said this was his favorite part of the event to actually be able to go drift at high speed. It’s his first NST event and it won’t be his last. Can’t Hate Brad Burnett’s V8, It’s In A Corolla! 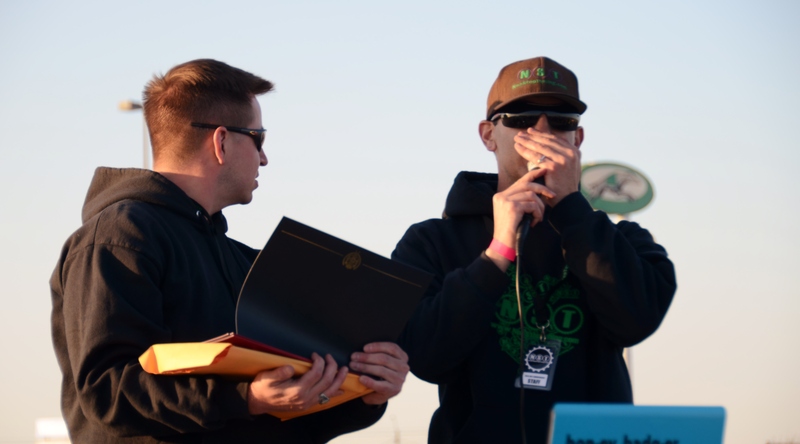 A little cold weather couldn’t scare off the dedicated crowd celebrating 8 years of nonstop support for people like Hunyadi and Le from the Non Stop Tuning Drift team that has traveled nationwide and invested both time and money into the grassroots sport. 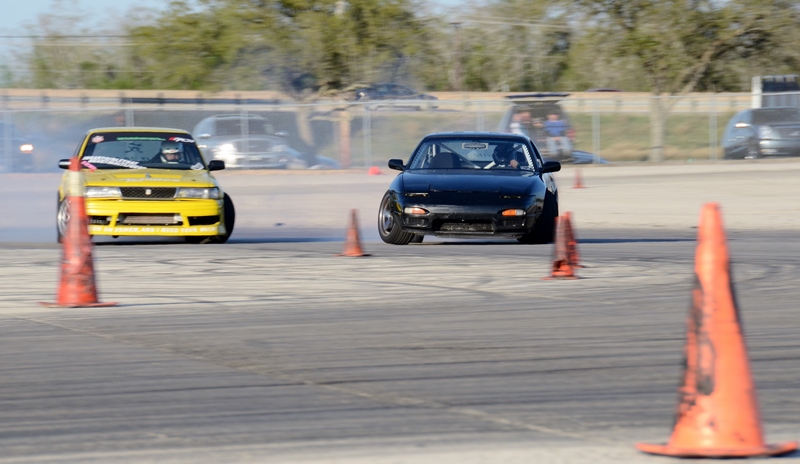 “We’ve hosted several large grassroots events over the past few years and our drift team has competed in many others,” NST President Mike Rahimi said.“This event set all sorts of records; online RSVPs, spectator turnout, vendor support, drifter and car show registration, even media groups/personnel,” Rahimi said. 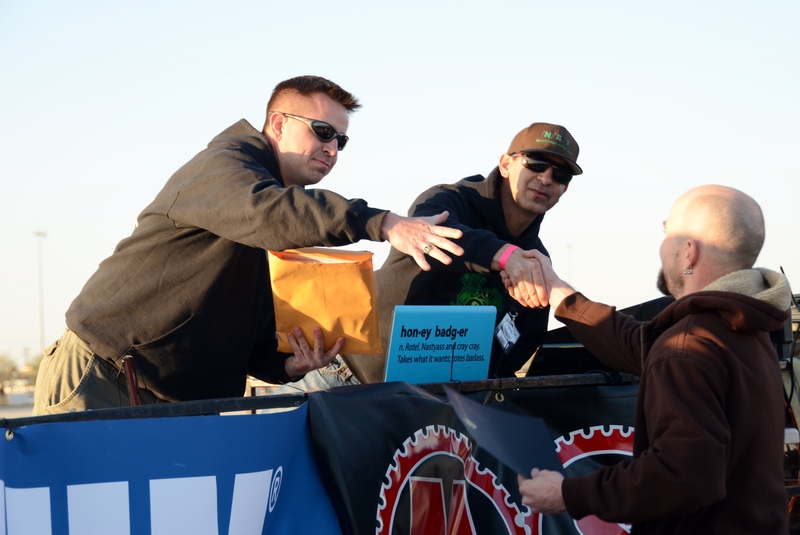 Fabricated Motor Sports owner Aaron Losey said from the turnout to the competition the event was a success. To reward the drivers, the top four drift participants received cash prizes from NST. Those winners included: Alex Riser, Nissan 240SX, $400; Nacho Mendoza, Nissan 240SX, $300; Dewayne Ramsey, Toyota Cressida, $200; and Tim Koenning, Lexus SC300, $100. 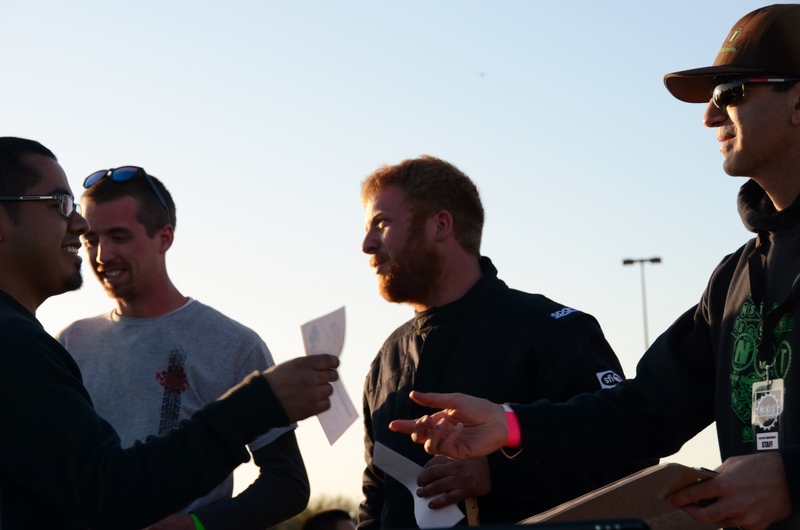 “I can’t believe I just won cash for drifting, “ Alex Riser said upon receiving his award. 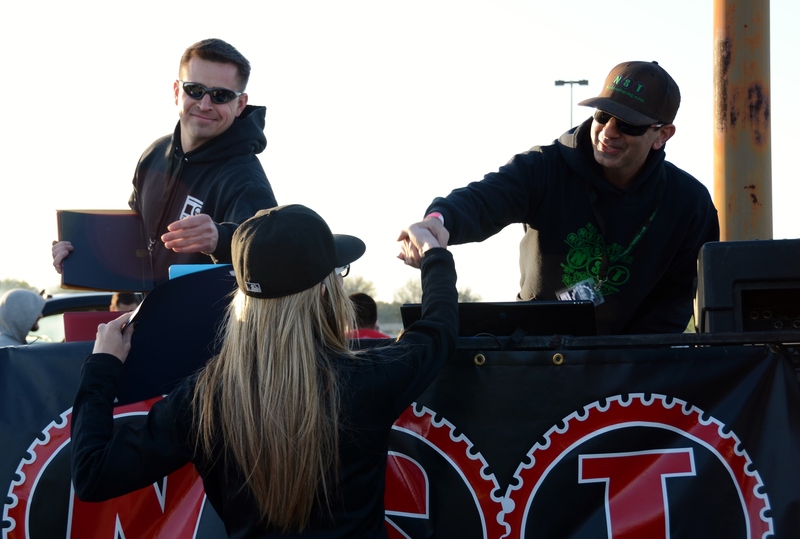 But the drivers weren’t the only one’s receiving attention from the sponsors and crowd. 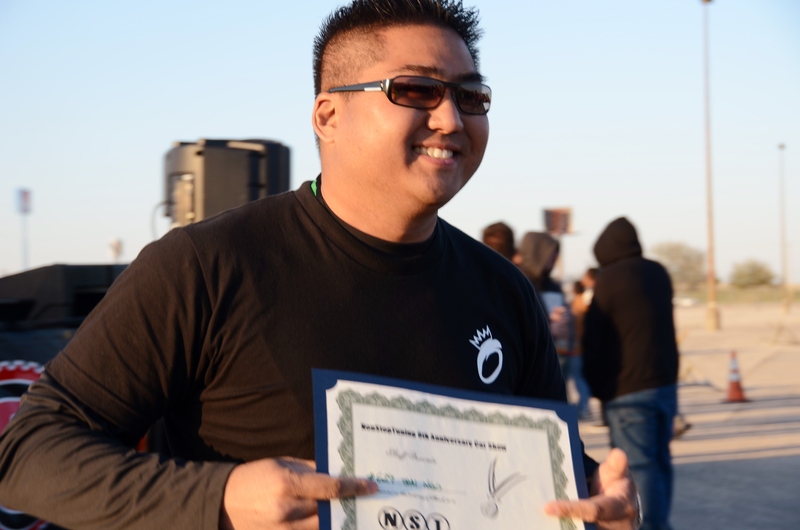 Creative owners and participants of the Anniversary event’s car show were also recognized in as many as 25 classes with raffles and certificates, such as Best in Show winner Bryan Bui for his Turbo Honda CR-Z and Staff Favorite, Thai Ngo with his Infiniti G20. However, the success of the anniversary event did not come without challenges. With NST drivers having moved to the pro ranks of Formula Drift (Chelsea DeNofa 2012, Will Parsons & Joshua Steele 2013) NST has no drivers competing in the local series at the start of this season. However, Rahimi said NST will continue to support the local series because of their longtime commitment to grassroots drivers and the local community. It is a bitter sweet reality for the local series. 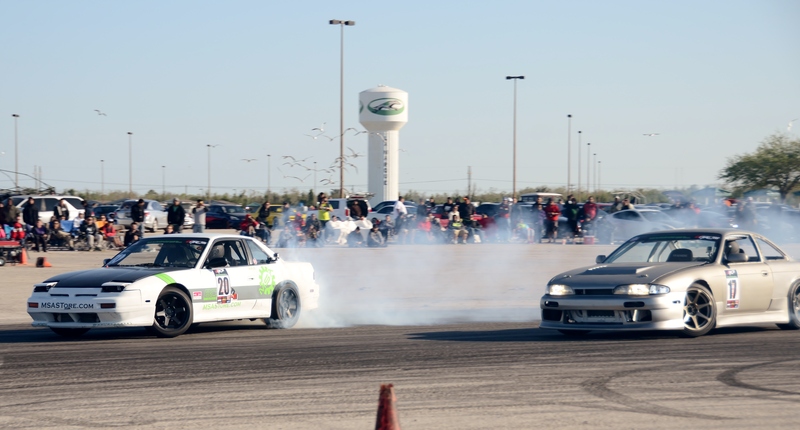 NST has its roots in import drag racing, in the late 90s and early 2000s, and has been involved with organized drifting in Texas since the sport surfaced in the early 2000s. “It’s amazing to see how far we’ve come in the last ten years or so,” Rahimi said. “Since 2005, NST has dedicated more money towards the promotion and support of local drivers than all other TX companies combined, and has supported more drivers transitions to the pro ranks, than any other team or company. 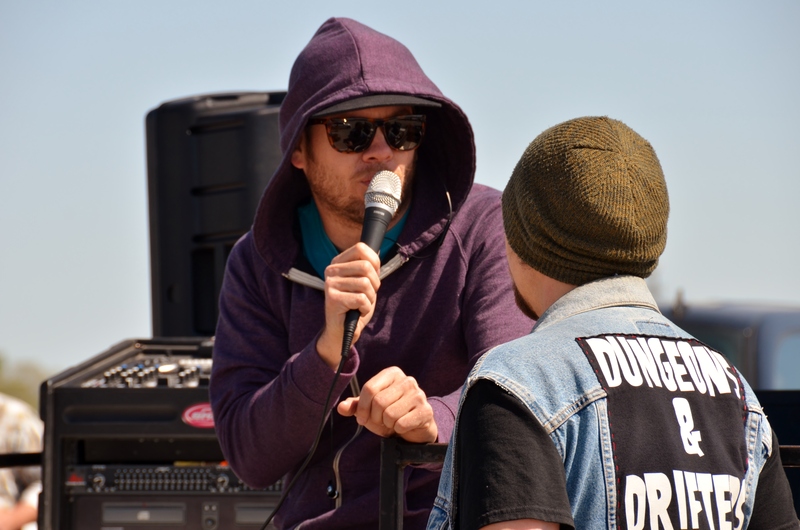 While NST has provided support over the years, they have not set the foundation alone. Sponsors of this event included: NonStopTuning, Gasoline Energy Drink, 86motoring, Mona Tshirt, Underground GRFX, Happy Teahouse, SSA Race Technologies, CMS Performance, Premium Car Wraps, DJ MIK ONE, Fabricated Motorsports, and Lone Star Drift. 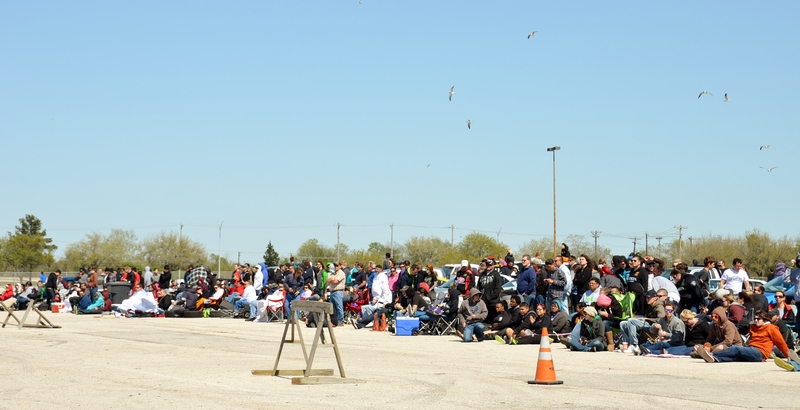 Houston local speed shop CMS Performance shared their insight on the event. While CMS has a team the owner says the shop is all about the customer and supporting the scene from discounted parts to freebies. “These guys work on these cars, we help them, they help themselves, get out and do it here on a controlled course,” Cruz said. Having been more heavily involved in the last couple years, Cruz has witnessed the purpose, investment and progress in the sport. “It’s going to keep growing and it’s growing immensely, it’s not going to go anywhere, it is going to stay here and it keeps getting bigger and bigger,” Cruz said. 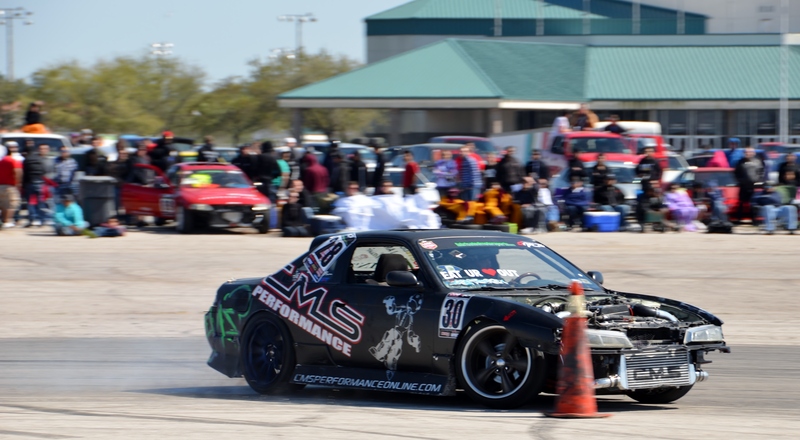 Posted on April 1, 2013, in Guest Blogger, Motorsports, NonStopTuning, NonStopTuning Media and tagged 2013 NST Anniversary, Alexander Riser S13, BMW Drift, Brad Burnett, Dewayne Ramsey Cressida, Joshua Steele S13, Lexus Drift, Lone Star Drift 2013, Mario Gomez 350Z, Meagan Ellsworth, NST Car Show, NST Drift Team, Texas Drifting, Tim Koenning, Toyota Drift, Will Parsons AE86. Bookmark the permalink. 1 Comment. This is the first time I’ve been to your website. Thanks for providing more information.